In the late 1800s, partygoers had their own version of the "party game for horrible people," Cards Against Humanity. 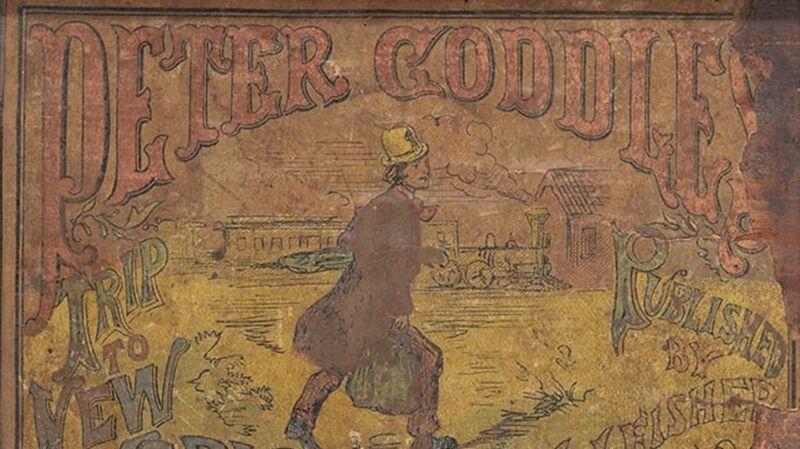 It was called Peter Coddle’s Trip to New York. Using a pile of cards displaying nouns, players of the popular 19th century card game would fill in the blanks of a Mad Libs-style story. The tale followed a simple country man named Peter who got himself into trouble while traveling in the Big Apple (or in subsequent versions, Chicago). During the game, one player would read the story while others picked nouns from the pile. When it was their turn to draw, each player would use the slip of paper—which might say things like “a Dutch farmer,” “a glass eye,” or “a sea of turtle soup”—to complete the story. Max Temkin, one of the co-creators of Cards of Humanity, owns an antique copy of Peter Coddle’s Trip and shared his thoughts on the game with Atlas Obscura. In his opinion, the spirit of the paper slips closely resembles the irreverent nature of Cards Against Humanity's phrases. “There's a lot of double entendres,” he points out. If you’re looking for an ice-breaker game for your next Victorian-themed party, you can find vintage copies of the game online for less than $50.